Earlier this year I attended a Jacobean crewelwork class at Hampton Court Palace – a Christmas present from my benevolent sister. I’ve finally just got round to finishing off the piece, being in need of a) a kick up the backside and b) some serious needle practice for the textile conservation course starting in September. Conservation stitches are quite different to embroidery – the priorities being support and discretion – but I think any practice is useful. 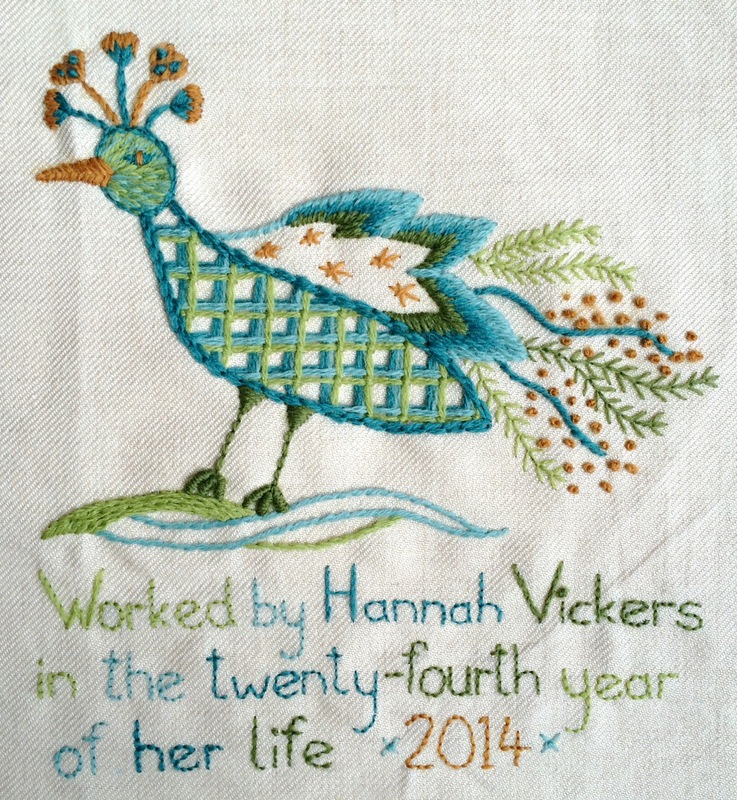 The course was fantastic for learning a variety stitches in a short space of time, and from a professional embroideress. However, I was a bit disappointed we weren’t shown some original examples, and used cotton rather than the more traditional linen. I added a stitched epitaph, inspired by the Victorian samplers that usually read something along the lines of this, for example: “Elizabeth Irwins work age 10 March 5 1848. All you my friends who now expect to see A piece of work performed by me cast but A smile on this my mean endeavour Ill strive to mend and be obedient ever”. I make no such promises!